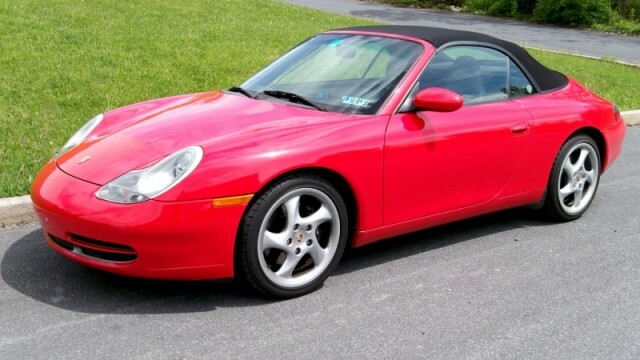 2001 996 Cabriolet » Specialty Cars Service Center, Inc.
94,000 miles, Guards Red / Black leather interior. 6 speed manual transmission. 18″ turbo look wheels. Dual power seats, Hi-Fi sound system, air deflector (cabriolet) Litronic headlights.